HP MISTING KIT 22 Nozzles/ Cooling and Mosquito Control / ITALIAN Product. 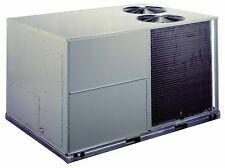 Goodman HDC24-1A Air Conditioning Unit 208-230V 1Ph 60Hz ! WOW ! Dimplex CMH35A84CX Ceiling Mount Heater 3/4/5 KW 600V 60HZ 1/3 PH ! WOW ! Dimplex CMH35A51CX Ceiling Mount Heater 3/4/5 KW 347V 60HZ 1 PH ! NEW ! E6438 Eberspacher Airtronic D2 12v Marine single outlet heater kit. A compact, quiet and economical heater. Eberspacher Vehicle Heaters. Eberspacher Marine Heaters. • Eberspacher D2 Airtronic 36 months warranty Handbook. Dimplex CMH35A84 Ceiling Mount Heater 3/4/5KW 600V 60HZ 1/3PH ! NEW ! Dimplex CMH35A51 Ceiling Mount Heater 3/4/5KW 347V 1Ph 60HZ ! NEW ! Webasto Vehicle Heaters. Webasto Marine Heaters. Webasto Air Top EVO 40 12v boat heater installation kit. A compact, quiet, and economical heater. Programmable independent heating (does not use heat from the engine) for many types of Marine use. Webasto Vehicle Heaters. Webasto Marine Heaters. New genuine Webasto Heater. A compact Webasto diesel heater with a heat output of 2KW. Webasto Twin Outlet Universal Kit contents. Webasto 24 months warranty. Webasto Vehicle Heaters. Webasto Marine Heaters. New genuine Webasto manufacturer's accessory. Suitable for both Eberspacher & Webasto water heater systems. Water Heater Matrices. 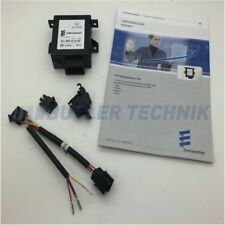 Simply connect into hot water heating system/engine coolant circuit for blown warm air room heating. Eberspacher Vehicle Heaters. Eberspacher Marine Heaters. 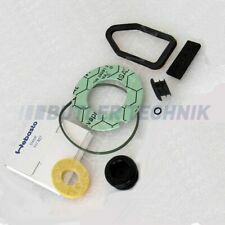 New genuine Eberspacher manufacturer's heater kit. Water Heater Matrices. KW to BTU conversion as below;. Marine Accessories. Installation Accessories. A compact, quiet and economical heater. Eberspacher Vehicle Heaters. Eberspacher Marine Heaters. New genuine Eberspacher UK dealer warranted heater kit. Eberspacher D2 Airtronic 36 months warranty Handbook. Genuine Eberspacher Airtronic D4 12 volt heater & fuel pump 252113050000. A compact, quiet and economical heater. Eberspacher Vehicle Heaters. Eberspacher Marine Heaters. New genuine Eberspacher Heater. AD AMS CLEANAIRE. Less air turbulance than flush mount units makes Cleanaire quieter. Heating and Cooling costs can be reduced from 20-40% annually with Adams Cleanaire. 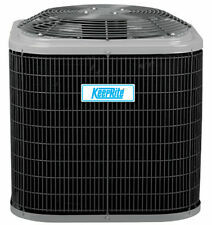 By cleaning the indoor air with Cleanaire, introduction of outside air can be reduced to. Webasto Vehicle Heaters. Webasto Marine Heaters. New genuine Webasto warranted heater kit. This is the most compact Webasto heater with a heat output of 2 kW. It has an impressively low level of electric power consumption and low level of diesel consumption at a maximum of just one litre for every 4 hours of maximum heat output operation. Eberspacher D5WS Combustion Air Motor 24v. 252146050000 D5WS 24V. 252218050000 D5WS 24V. Eberspacher Vehicle Heaters. Eberspacher Marine Heaters. Compatible with the following Eberspacher water heaters. Eberspacher part number 252219050000. Eberspacher Vehicle Heaters. Eberspacher Marine Heaters. New genuine Eberspacher manufacturered heater. Water Heater Matrices. Diesel fired water heater with 5 kW heating power. Eberspacher Vehicle Heaters. Eberspacher Marine Heaters. For Eberspacher and Webasto heater systems with 60mm warm air ducting. Webasto Vehicle Heaters. Webasto Marine Heaters. Webasto flap valve 60mm. Upgrade your old Eberspacher D3L or D3LC heater with Eberspachers latest generation D4S heater. Eberspacher Vehicle Heaters. Eberspacher Marine Heaters. Eberspacher Airtronic D4 Plus self regulating 12 volt air heater with 75mm outlet hood. The Eberspacher D4S heater is a slightly de-rated version of the ever-popular Eberspacher D4 heater. Slightly reduced heat output and careful reworking of blower motor speeds allows this heater to be utilise 75mm ID ducting rather than 90mm ID ducting. Webasto Vehicle Heaters. Webasto Marine Heaters. This is the most compact Webasto heater with a variable heat output of between 0.9kW and 2.0kW. It has an impressively low level of electric power consumption and low level of diesel consumption at a maximum of just one litre for every 4 hours of maximum heat output operation.